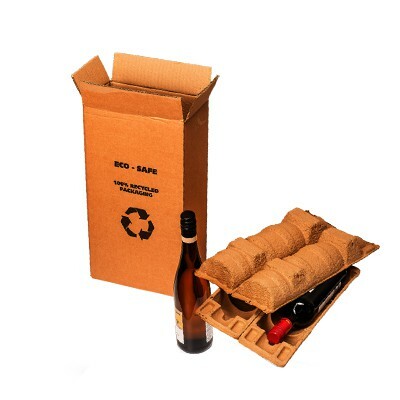 This range of bottle postal boxes come in six different sizes ranging from a 1 bottle box, up to 6 bottles (half a case) or 12 bottles (full case). 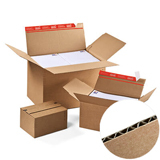 Boxes are made with double thickness cardboard and come complete with mouldings to hold the bottles securely in transit. 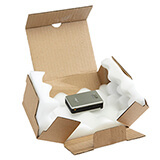 These bottle postal boxes are designed to provide superb protection for bottles sent by post or carrier, thanks to the combination of strong pulp mouldings, which hold the bottle securely in position, together with a tough double wall printed outer box. 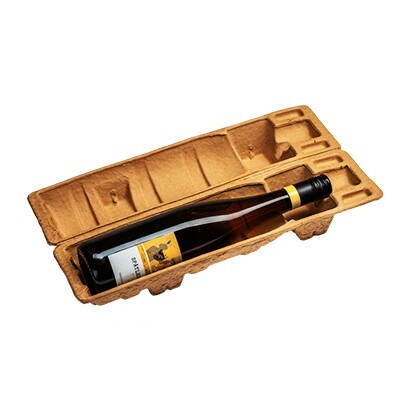 For a 1 bottle box, the pup moulded insert tray is shaped to fit one wine bottle. 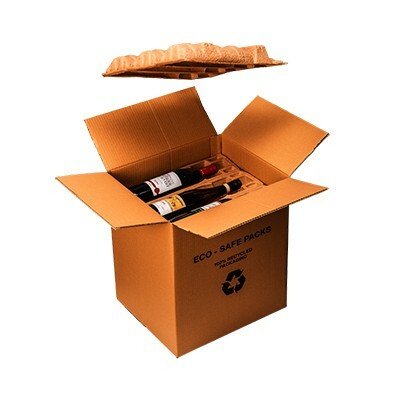 The 2 bottle box and the 3 bottle box fit multiple wine bottles in the same moulded tray. 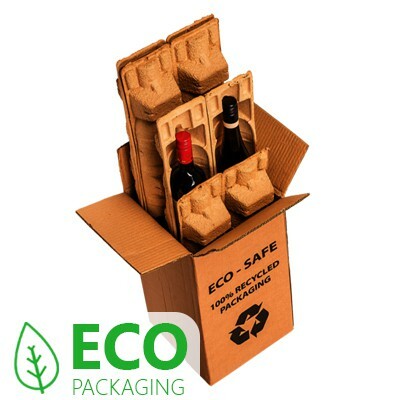 4 bottle boxes, the 6 bottle box (or half case wine box) and the full 12 bottle case of wine use more than one insert tray. 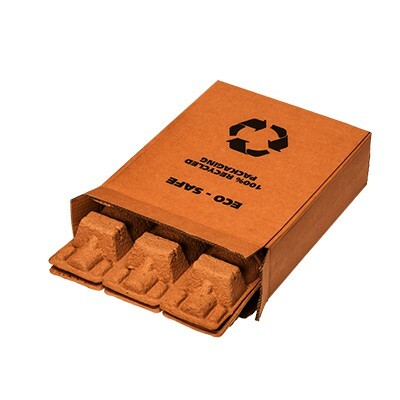 Simply lay the bottles in the specially moulded tray, overlay the moulded lid, and insert into the double wall postal box. 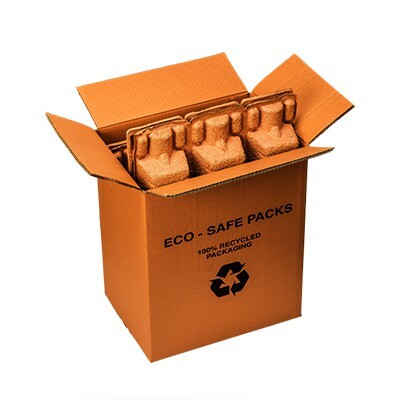 Simply seal with tape. 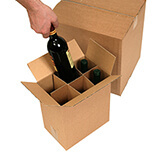 No additional protection is needed for packaging wine bottles for posting.